... Please Don't Keep Me In the Dark! 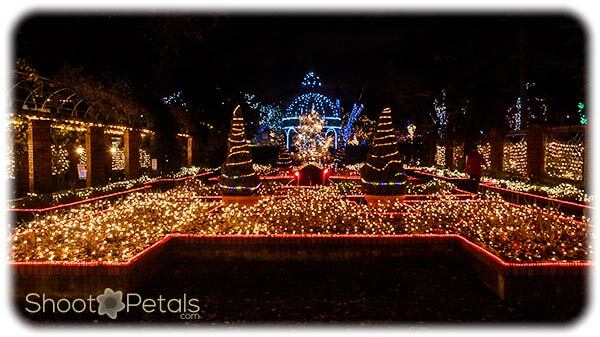 There are a growing number of gardens throwing a Festival of Lights celebration. And they aren't only in December when we celebrate the Christian religious holidays. These spectacular events are taking place in spring and summer as well. No better reason than to glorify flowers and gardens when they're at the blooming best! In any season, photographers need some knowledge about night photography.... because all the excitement happens at dusk or later, when it's completely dark. Razzle dazzle us with fireworks or bazillions of lights. Either way, you’re about to be in the dark and that means night photography. 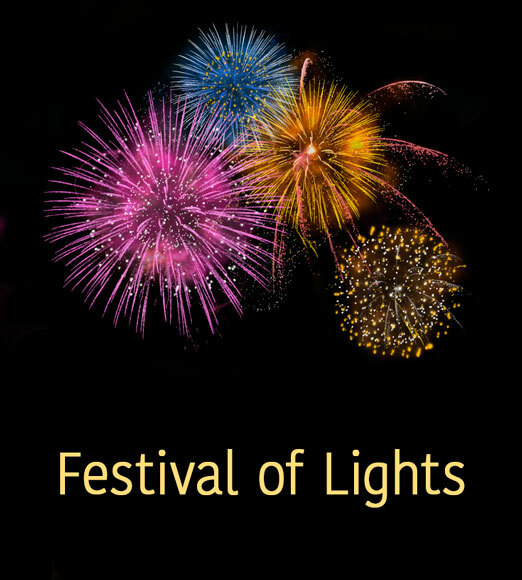 What Is a Festival of Lights? I love seasonal lights and lots of them! But these celebrations could also revolve around fireworks. And they're not only winter holidays... lots of them are summer wing-dings. The winter festivals are pretty much religious events, like Hannukah or Christmas. But they've become more of a cross-cultural, social celebration... not a religious ceremony. But a time for people of all spirits to celebrate in the garden together. And Australia and the UK have even held a political light festival. Trust a politician to grab onto a campaign idea like that! All of those are exciting but when it's a garden festival, its even better! Park Tilford Garden in North Vancouver is a small botanical garden hidden away in a shopping centre. Click here to see a few photos from 2 years of celebrations. VanDusen Botanical Garden is my favourite winter festival on the Lower Mainland. The number of lights is staggering. This festival was just before a huge renovation. The Festival at VanDusen Botanical Garden is a yearly event. I haven't been to their Festival since the beautiful new main building was opened. I'll be attending this coming December at the "new and improved" (how is that possible?) garden. 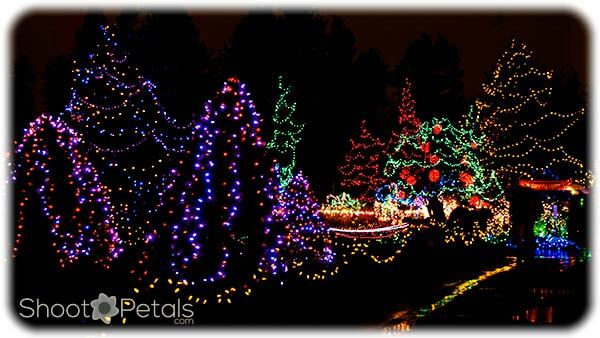 Here's the City of Vancouver website for information about VanDusen Botanical Garden's winter light celebration. Some North Vancouver friends introduced me to the Park and Tilford Gardens one summer awhile back. That winter we went back to the Light Festival and even though the garden is small in size, it was impressive! ... Need a refresher on night photography? The thing about this kind of festival is it has to be dark! That means, if you want good pictures, you need to know a bit about night photography. To prepare, use your camera manual and get to know your camera really well. And learn your basic photography. If you don't have a tripod, you will need one. Rent one, borrow one, or buy a good one. Last, there are a few things that are different than shooting in the daytime so you'll want to get out and practice a bit before the Festival. Do some practice night shooting when you can relax and take your time or you won't get good pictures when it counts. It can be cold holding a camera and tripod in the winter and a bit stressful when you're not sure how to shoot in dark.